A leading-edge tech company with a Whistler-based HQ is growing quickly and is now hiring! Ideally suited for a friendly customer service pro who likes the excitement of rapid growth and change. Offering an excellent wage, attractive perks and a flexible schedule that gives you plenty of time for fun in the mountains and living the Whistler dream! Flexible, 4-day schedule offering a choice of AM or PM shifts and 3-day weekends! Base hourly wage with room for growth and other perks. Super social, close-knit team atmosphere where you can build a long-lasting career and great friendships! You are a natural communicator. You are known for your friendly, calm nature. You are comfortable with the imperfect. You would love to get in on the ground floor with a leading-edge, expanding tech company, broaden your skills and challenge yourself all while living the Whistler dream! Natural communicator and a good listener with excellent phone communication skills. Understands and knows how to deliver excellent customer service. Computer-savvy , experienced with Windows and MS Office and can quickly learn new programs and platforms. Brings a positive mindset and fun energy to the team. Have a thorough understanding of all our products and services. Assist guests regarding transportation options in an informative and helpful way. Accurately book and enter reservations requests using a leading-edge booking system. Be an organized, responsible, punctual, accountable individual with a sense of urgency. Recognize the importance of adhering to call center and customer service standards. Liaise with dispatch and other departments as required. 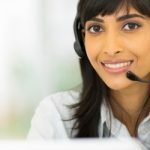 Work well with the call center team as a whole. This means actively contributing at team meetings, maintaining flexibility in your schedule, and adapt to changes in workflow and environment as the business is ever-changing. Follow department policies, procedures and service standards. Happily assist with other duties and projects as assigned.